Whether the Detroit Lions win or lose when they're on National Television, they generally make things very exciting. It remains to be seen if they'll get any National TV Appearances in 2016 beyond their annual Thanksgiving Game. In last years playoffs on the road against the Dallas Cowboys, while the Lions were leading 20-17 in the fourth quarter, a pass interference call that gave Detroit a first down well into Dallas territory was picked up without explanation by referee Pete Morelli. That turned into a huge benefit for the Cowboys, as the Lions shanked a punt on the next play and the Cowboys took advantage of their good field position to march down the field and score the go-ahead touchdown to take a 24-20 lead. In week four of the 2015 season, Detroit was featured on Monday Night Football hitting the road to face the Seattle Seahawks. 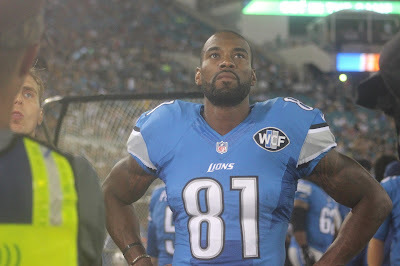 On October 5, the Lions lost 13-10 as Kam Chancellor forced a fumble punching the ball out of Calvin Johnson's hands. The ball went into the end zone and K.J. 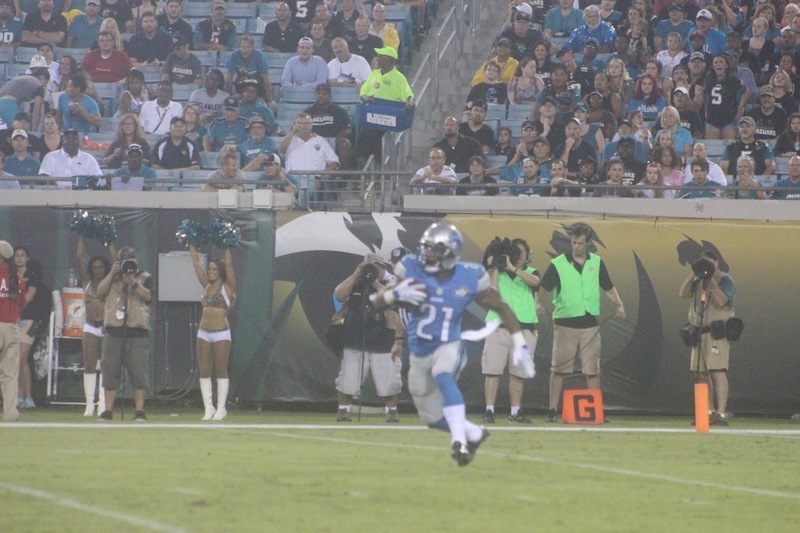 Wright guided the ball over the back line for a touchback. The Lions 91-yard drive with the go ahead touchdown was not meant to be and Seattle took the ball at the 20-yard line. The NFL admitted that Wright should have been called for an illegal bat for hitting the ball out of the end zone, NFL VP of Officiating Dean Blandino told the NFL Network. The penalty would have given the ball back to Detroit at the Seattle 1-yard line. The Seahawks got an early season gift. 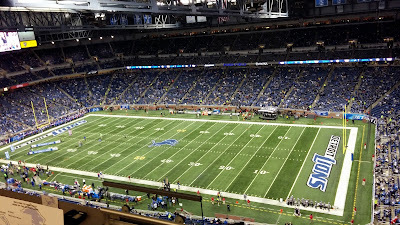 The Lions bad luck continued on Thursday, December 3, 2015 at Ford Field. Once again, the officials played a big role in deciding the outcome of this contest. With six seconds left to go in the fourth quarter, Devin Taylor committed a costly face mask penalty that gave Aaron Rodgers one last shot as his team trailed 23-21. Taylor barely touched Rodgers and it didn't appear to be a face mask from the numerous replays I saw. Nonetheless, this set Green Bay with an un-timed down and Rodgers connected with Richard Rodgers for a 61-yard touchdown which gave the Packers a 27-23 win. What a climactic ending to a good football game. Now did the Lions lose solely on this play? Detroit 13-3 in the fourth quarter. Rogers ran for a 17-yard touchdown, in addition to the Hail Mary Pass otherwise known as "The Motor City Miracle." At the 5:44 mark in the third quarter, Matthew Stafford was at the Detroit 12-yard line, lost a fumble and it was recovered by Packers Jake Ryan at the 12. Three plays later, Rodgers connected with Davante Adams for an 8-yard touchdown. A Lions 20-0 halftime lead was reduced to 20-14 in the third quarter. As my colleague George Eichorn and I stood in the photo room after the controversial face mask penalty occurred, I told him that I had a feeling the Detroit Lions were in trouble. I've covered lots of football games at the Pro, Collegiate and High School Levels and have seen a lot of crazy things transpire especially late in games. For 60 minutes, Detroit didn't trail in this contest. But when a future Hall of Fame QB gets a chance to beat you, that's a sign of trouble. Eichorn gave me a strange look as I walked across the room with bad vibes. Then Rodgers went to work to hit Richard Rodgers thus ending Detroit's hope of sweeping the Packers in a season series since 1991. By dropping to 4-8, Detroit's slim playoff hopes took a hit while Green Bay (8-4) is in first place in the NFC North/Norris Division. There is no question that Coach Jim Caldwell wasn't looking forward to this post-game press conference. He would get second guessed until he was blue in the face. Lions VP of Communications Bill Keenist and Media Relations Director Matt Barnhardt did their best to minimize the damage as they have all-year in a tough season which had high hopes. In the short time I've known Caldwell, he seems like a real nice guy. The Lions were 1-7 but haven't quit on him. But Caldwell isn't stupid and knows he's coaching in an organization which hasn't won an NFL Championship since December 29, 1957. There are four teams that have never appeared in a Super Bowl and Detroit is one of them and has only one playoff win in that time period, ironically against the Dallas Cowboys at the Pontiac Silverdome. On this night, I was battling a cold and decided to take a low-keyed approach. I had only one question, but another media member asked it. ESPN Analyst Ron Jaworski wondered about the same thing on Wednesday, December 10, 2015 appearing on Pardon The Interruption. Why wasn't Calvin Johnson in the end zone to guard against the Hail Mary? "Because in that situation, we have a couple different things we can do," Caldwell said. "That was one where you're kind of looking for more of that pass back and forth kind of thing because of the range. He ran around there so long, moved up, gave himself a chance to get into the end zone. We had plenty of guys back there, we had plenty of guys. We just didn't make the play, they did." Caldwell was asked the question, what was it like to go from a certain victory to a tough loss? "There's no certain victory," he said. "Until that clock ticks zero, there's no such thing as a certain victory. I never feel that way. When it's over with, it's over, that's why I never smile during the course of games for the most part until it's over, and that's a perfect example." Stafford would put up solid numbers by going 23-35, 220 yards and two touchdowns and zero interceptions. He rushed for 22 yards and was sacked three times. 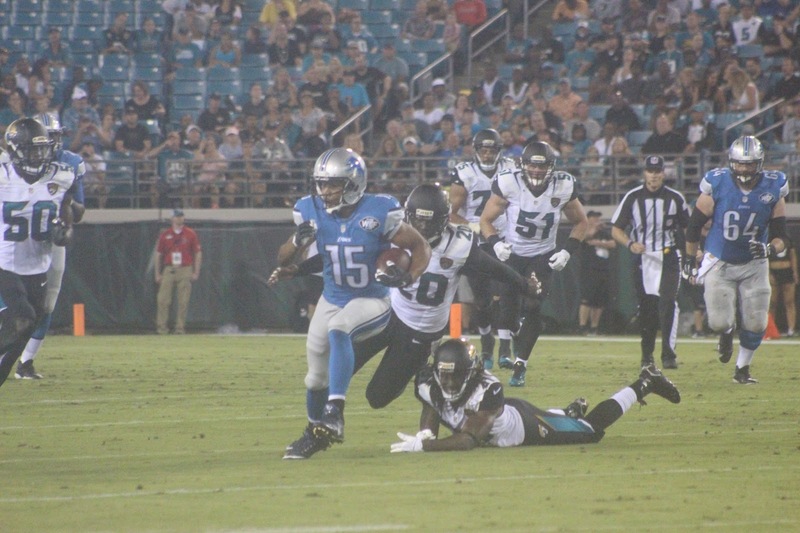 Johnson had three receptions for 44 yards, one touchdown (17-yards) and was targeted eight times. Johnson now has 15 career touchdown receptions against the Packers, which are the most by any player against Green Bay. He surpassed the previous high of 14 set by WR Randy Moss. He has played the Packers 16 times in his career, and has caught 90 passes for 1,409 yards (88.1 yds/g) with 15 touchdowns. Stafford was asked about the catch Richard Rodgers made. "It was a great play, you know, a tough way to lose one," he said. "The team played really tough, played really hard. Our defense played really good most of the game, so it's the NFL. Plays happen like that. It's not an easy pill to swallow." Stafford was asked if he watched the final play? "No I tried not to. I kind of peaked and saw the Jumbotron, and it looked like he was in pretty good position to make a catch, so I saw it at the very end." During the course of the week, I've noticed Caldwell and his defensive coordinator Teryl Austin have shunned questions about Calvin Johnson/Hail Mary Pass. I don't blame them at this point as they prepare for the St. Louis Rams on Sunday in Missouri. But it didn't take long for another face mask penalty to come into question in Arizona's 23-20 win over the Minnesota Vikings Thursday Night in Arizona. There was no face mask penalty called as Vikings QB Teddy Bridgewater was grabbed. NFL Network Announcers Jim Nantz and Phil Simms indicated that this was more deliberate than what happened to Aaron Rodgers. This non-call could cost Minnesota a division title. As I breakdown some of the junk posted on social media I gag when I hear for the Lions to ever get rid of Matthew Stafford and Calvin Johnson; that would be completely absurd!!! Stafford, 27, is the franchises all-time leader with 24,878 yards with 153 touchdowns and 97 interceptions. Who would the Lions get to replace him? If you draft a young signal caller, there is still a major learning curve. Unfortunately, Detroit has had three offensive coordinators in almost three years in Scott Linehan, Joe Lombardi and Jim Bob Cooter. There needs to be some stability in this area or this is a recipe for disaster. Anybody thinking of firing Jim Caldwell right now needs to have a brain transplant. He deserves to finish out the season and it appears that Martha Ford Firestone is smart enough to understand that. She realizes that it's best for the new general manager to decide if he continues. It's not like Caldwell took a "Dumb Pill" after leading the Lions to an 11-5 mark last year and into the playoffs. President Tom Lewand mishandled the salary cap with Ndamukung Suh while GM Martin Mayhew let Nick Fairley leave for nothing. Now Fairley is contributing for the St. Louis Rams. This doesn't fall on the coaches shoulders. You coach the players you're dealt. I admired her bold move by terminating Lewand and Mayhew on November 5. 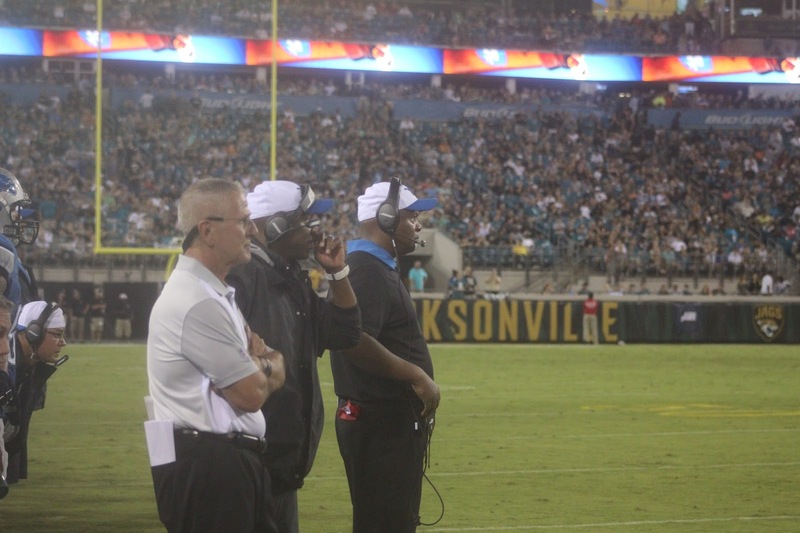 Shortly thereafter, Caldwell dismissed three coaches to shake things up. I will be curious to see how the rest of the season plays out, but Mrs. Ford has earned my respect because her style is much different than her late husband William Clay Ford. At 90-years old, she doesn't have a passive bone in her body. If the Lions have to make major upgrades during the off-season, they have to draft a top-flight running back out of college. The 2016 Draft has lots of good prospects in this class. They need to balance the offense because the running game has been a major problem all year. It wouldn't hurt to have a couple impact defensive players. But what a bizarre week in Detroit. On Wednesday, the Pistons lost to the Memphis Grizzlies as Matt Barnes knocked down a half court shot with 1.1 seconds to play as Detroit lost 93-92, 30 miles north on I-75 at the Palace of Auburn Hills. A victory over Memphis would have been Detroit's sixth straight at the friendly confines. That streak ended at five. 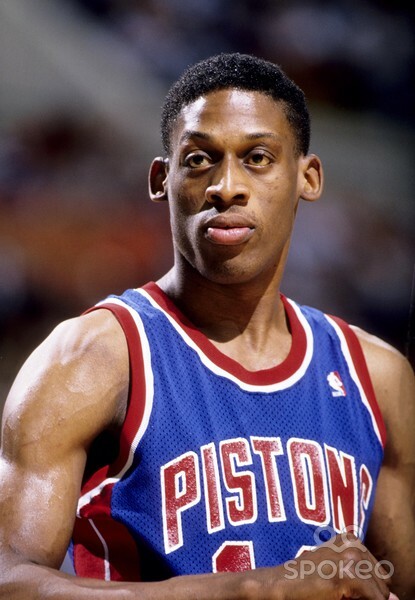 Fortunately for the Pistons, they play 82 games where the Lions play 16. Regardless, Pistons Coach Stan Van Gundy and Lions Coach Jim Caldwell probably have the late Yankees Hall of Fame Catcher Yogi Berra on their minds. Berra's famous one-liner is "It's not over until it's over." This has to be engraved in both coaches' heads. There is lots of intrigue for both teams. We'll just see which teams rebounds the best after these crushing and heart-breaking defeats. I'll also be curious to see what happens the next time the Lions appear on National Television. You can rest assure that while the Lions were losers against Dallas, Seattle and Green Bay, each network that they were on, had to do well with the ratings with all three games decided late in the fourth quarter. During the month of November, the past 30 days have been a whirlwind. I have been working diligently to prepare to take the Florida State Exam to get a 215 License which enables me to sell Health, Life and Variable Annuities. This Quest actually began in 2006 when I started looking into this, but circumstances never enabled me to take the State Exam the past nine years. Over the past six months, I began This Process once again. I spent over 200 hours of Classwork at Gold Coast School of Insurance, in addition to over 700 hours of doing homework. The instructors at this school were excellent! Nine years ago, the Training Manual was 300 pages. Now it's 600 pages with no pictures. As of October 2015, the Class Requrements have Increased from 40 hours to 63 because the test is so challenging and, tricky. I was grandfathered in at 40 hours. The State of Florida's Exam is one of the most difficult ones in the country. Numerous sources said that 75% fail the first time which leaves 25% left to succeed on the initial try. I relished the challenge of playing the underdog role to get this done. Florida is a tough state because of the numerous scams. Many of these occur with the senior citizens since it is a retirement state. There was no shortage of hurdles in My Quest to pass this Exam. But the biggest one occurred on Sunday, November 15, 2015 when a very Special and Inspiring person passed away at the age of 73 due to Natural Causes. This person's name is Betty Jayne Ebling. Over the past three years, she provided me with guidance when I needed it. On Wednesday, November 18, we were supposed to talk, but unfortunately, that was a call that never came. The moment she passed, I felt a new kind of pressure. Not only did I want to pass this exam for my immediate family and friends, who have believed in me all along, but now winning one for "Betty Jayne Ebling" provided me with additional pressure as well. On Monday, November 16, 2015, I didn't start studying until 2 PM. I had to clear out my head and get my emotions under control. That night, her husband Fred Ebling, a retired school teacher decided to give me some advice. This guy had the line of the century. He said, "You should lock yourself up in a private room and tape your mouth shut so you don't get distracted." This was real funny, but I opted to use a different approach and sit out in the library in my familiar spots. Considering the source, Fred Ebling's comments are ones I joke around with my close people. Betty Ebling has been telling me all along that "If you go out there and give it your best effort, I'll be proud of you no matter what. You find out what mistakes you made then work on those areas and you'll get there. I really do believe that you'll be fine. I have a lot of faith and confidence in you." The next two days were like no other. I couldn't sleep and studied at an even more intense pace. There isn't anything that I haven't accomplished that I haven't strived to the max to get. I thrive under pressure. The last time I saw Mr. and Mrs. Ebling, I did it with no mustache and beard. Those became casualties on Tuesday, November 17, 2015. I had to take a professional picture and wanted to represent my closest people in the best way possible. I could hear her voice and see her face in the back of my mind and in my heart. On Thursday, November 19, 2015, my goal was to complete the 150 question exam, plus the 15 pretest questions which amounted to 165 questions. I had 2.75 hours to complete the exam. I had no desire to change an answer and over think these questions. Just Complete The Exam! When I walked into the testing facility, I told the lady who registered me that Betty Jayne Ebling died and to please say a prayer for me. I have only one shot to get this one done and dedicate a win to Betty Jayne Ebling. The lady did say a prayer and gave me words of advice. She told me to "Take my time reading the tutorials and relax. Take some deep breaths then go out there and after five minutues, I'll be fine. Go out there and take care of business." My Life! This was one single day and I've had difficulties on past state exams before, but not on this day. Getting my BA Degree in Communication took me five years but seemed easier than this considering everything it took to pack that much pressure in a short period of time. I was so excited that I passed but real relieved that I accidently forgot my drivers license. Here I am getting one license yet forgot one. It's safe to say, I never got out of the parking lot. The lady called me back and I ran up and got the drivers license with no pain in my gimpy knees. But this is a day which began at my favorite spot in the Florida Everglades, then I ate at a Chili's in Boca Raton 10 minues away. I made it to the testing facility 15 minutes early. By the end of the day, I returned back to My Evergaldes Hangout to Wind Down. On the day of Mrs. Ebling's death, the Detroit Lions defeated the Green Bay Packers 18-16 to snap a 24-game losing streak in Wisconsin. This football game was an after thought upon hearing the news of her passing. As of this posting, the Lions have won three straight games following major changes in the front office and coaching staff. Meanwhile, the Packers have lost four of five games going into their meeting Thursday Night at Ford Field since their bye week. What will give Thursday Night? Will the Lions compelete a two-game sweep of the Packers or will Green Bay wake up in a key divisional contest in its quest to win the NFC North Division. We shall see. But I do want to use this Platform to Express My Deepest Condolences to the Entire Ebling Family for the huge loss that they've just experienced! They are such a close knit group that I know it will take a lot of time to heal from this truly unfortunate loss, which happened way too soon! Nothing will bring back Betty Jayne Ebling physically, but she is one of the Greatest People I've met in My Lifetime! God Bless Mrs Ebling and I want to extend My Deepest Thanks for All the Guidance and Insights You've provided me. While I feel grateful to be a part of her life, three years was not nearly enough. But because of her, I'm a better person!! What's Up In Lion Land For 2015? On December 28, 2014, We covered the Detroit Lions vs Green Bay Packers at Historic Lambeau Field with the NFC North Division Title on the line. The Green Bay Packers emerged as 30-20 winners and won the Norris Division. What stood out in this game was former Lion Ndamukong Suh stepping on Packers QB Aaron Rogers leg which almost cost him an opportunity to play in the wild card game on the road against the Dallas Cowboys. Suh has since signed with the Miami Dolphins and will now have an opportunity to collect fines against Patriots QB Tom Brady. A new challenge and a new conference for Suh. But life goes on in the NFL where rosters change drastically and big name players find new addresses. The head coaching turn over every year leads to more intrigue as to what teams will make dramatic improvements to reach the playoffs. It's also worth mentioning that some previous years playoff teams regress, thus find themselves out of the Playoff Tournament. Now it's time to turn the page for 2015. The last time I covered a Lions pre-season game was back in the late 1990's at the Pontiac Silverdome. There was a much different atmosphere at EverBank Field on Friday, August 28, 2015. It was a rainy and wet night in Northern Florida. There was no division title on the line. Just jobs. On this night, the Lions had a 75 man roster. They didn't use Suh's replacement Haloti Ngata so other than what I've heard throughout the off-season, it will be interesting if he'll be a big impact on the Lions defense. Three offensive players from last season never made it to today's opener in San Diego against the Chargers. Tight-end Joseph Fauria was released and is now a member of the Arizona Cardinals. QB Kellen Moore is now on the Dallas Cowboys practice squad. I have a gut feeling that Moore will land a starting job within a year or two. Wide-receiver Ryan Broyles was released, and as of today is still an unsigned free agent. Aside from the addition of Ngata, I will be curious as to how much of an impact two new draft choices make. We all know that rookie running back Ameer Abdulla was an exceptional player at Nebraska. He'll be wearing jersey No. 21. Here is an interesting comparison between Lions Hall of Famer Barry Sanders and Abdullah. Although Nebraska is currently a Big 10 School, it used to be a member of the Big 12. Sanders played for Oklahoma State, which is still in the Big 12. Sanders wore No. 21 for Oklahoma State and came out of college 5-8, 200 pounds. Abdulah is 5-9, 203 pounds and like Sanders runs low to the ground. If he's used as an outside receiver, then he's even more dangerous in space. While it's unfair to compare a rookie to a Hall of Fame player, both wearing No. 21 in College, both having Big 12 ties and similar physical characteristics, it's worth noting. The Lions had good luck with another former Big 12 running back. Have you ever heard of Billy Sims? He played for the Oklahoma Sooners. If injuries hadn't cut Sims' career short, who knows how much more success Billy would have had with the Lions. But when you have good luck drafting with these Big 12 Schools, there is nothing wrong with adding more players from these institutions: especially, when it comes to running backs. The other draft choice in this year's class who intrigues me is defensive tackle Gabe Wright. This kid is from Auburn and is 6-3 and 305 pounds. He was selected in the fourth round. During the off-season, the Lions didn't re-sign Nick Fairley, who was also from Auburn. Fairley is 6-4, 308 pounds. He was the Lions first round pick in the 2011 draft. Fairley is currently with the St. Louis Rams. Will Fairley's departure haunt the Lions or will Wright be a hidden gem for Detroit? I will be curious to see how these story lines play out this season. It's time to see if tight-end Eric Ebron's sophomore season will be much better than his rookie campaign. There is no question he has the potential, now the question is will he be productive on the field? If the Lions can avoid the Tigers injury problems this season, then I'll be curious to see if they can return to the playoffs. 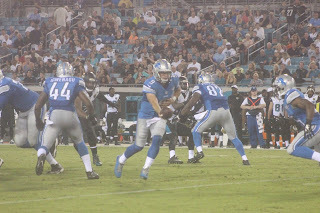 The four offensive players that will be key are QB Matthew Stafford plus wide receivers Calvin Johnson, Golden Tate and running back Joique Bell. 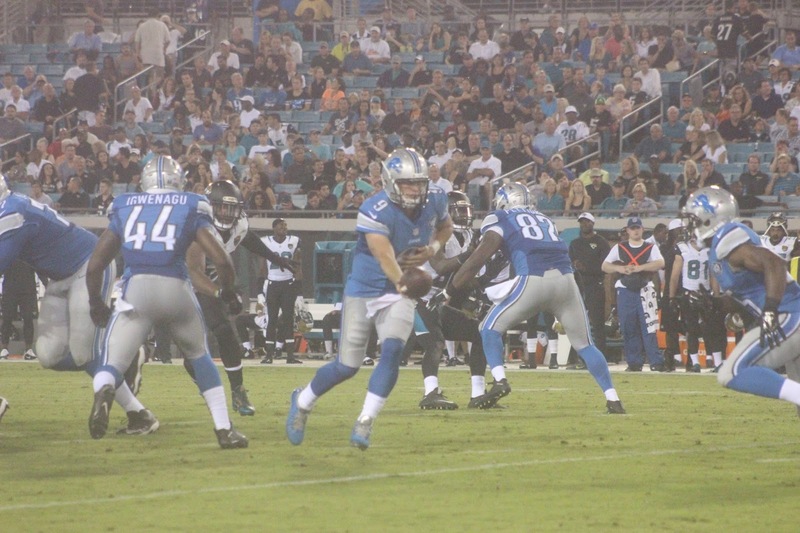 What type of contribution will running back Zach Zenner have? Zenner is 5-11, 222 pounds and played college ball for South Dakota State. He had an impressive pre-season. As I've watched many football experts predict playoff teams, the Lions have been absent from many of these lists. I've always relished the underdog role because it gives you a chance to prove your critics wrong. This is Detroit's chance to do so. The Lions will have plenty of National TV Appearances. Are they going to be contenders or pre-tenders? How good will Ngata be or how much will the loss of Suh have an impact on one of the top defenses in 2014? As much as I would have liked to see Suh stay because he gave the Lions an incredible ferocious defensive identity, his contract could be a tough one for the Miami Dolphins to swallow if they don't reach the playoffs immediately. This is a must win season for Miami. 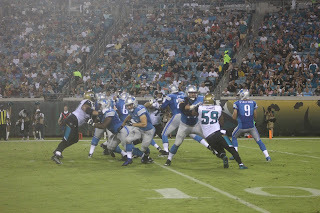 The Lions defeated Jacksonville 22-17. 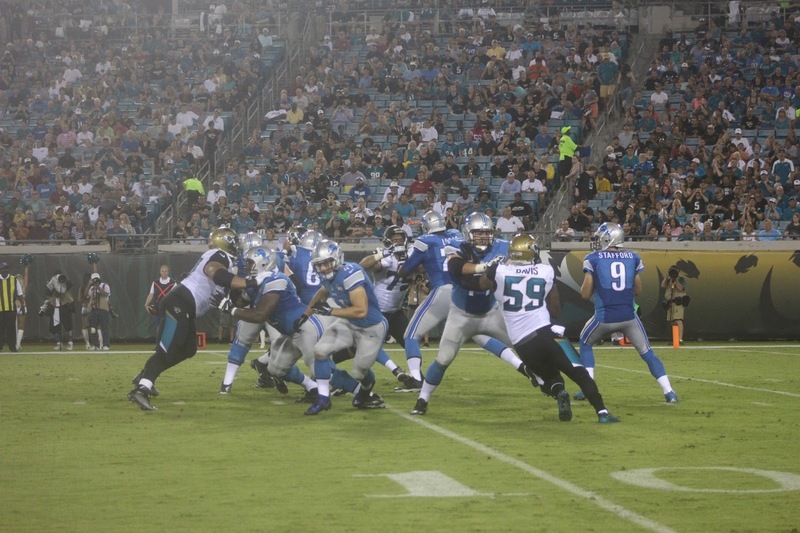 After the game, Detroit Coach Jim Caldwell was pleased with Stafford's play throughout the pre-season. "He has had a good pre-season," Caldwell said. "He has done a nice job on his completion percentage. He moved the ball." What are Stafford's thoughts about what he expects from the offense in 2015? "I am pleased with it, "he said. "As an offense, we're playing with good tempo. If we stay out of our own way, we'll be a pretty good football team." How good of a football team will the Lions be? If the Lions make the playoffs, I think they'll do it with a 9-7 record. The main goal is get into the tournament. The 2011 New York Giants won the Super Bowl with a 9-7 record against the New England Patriots, who were 13-3. The Giants are the only 9-7 team to win the Vince Lombardi Trophy. There have been other 10 win teams that won the Super Bowl. As for My Super Bowl Prediction, look for a rematch of last year's Super Bowl. But this time, the Seattle Seahawks will defeat the New England Patriots. The Seahawks were one play away from repeating. Running back Marshawn Lynch emerges as the MVP in Super Bowl 50. Seattle Coach Pete Carroll gets vindicated after last year's heart-breaking 28-24 loss which costed his team a chance at a repeat. Scott Morganroth can be reached at www.scottsports33.com. He is a member of the Detroit Sports Broadcasters Association. The first time I saw the movie "Back To The Future" was back in the 1980's when my long-time colleague George Eichorn and I watched it in a cinema in Southfield, MI. 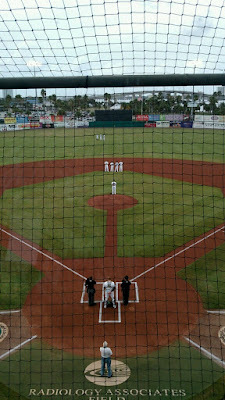 When I made the decision to cover the Detroit Lions vs Jacksonville Jaguars on Friday August 28th, I was curious about who was playing the following night in Florida State League (FSL) action, Advanced Class A Professional Baseball in Daytona Beach. 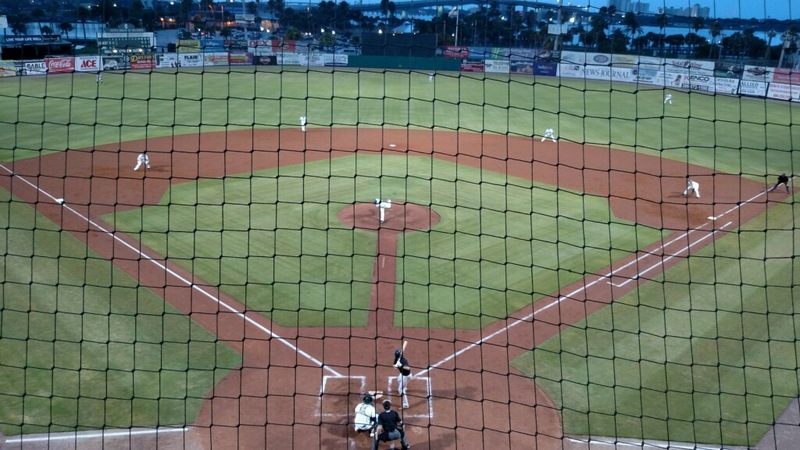 As it turned out, the Daytona Tortugas were hosting the Tampa Yankees at Jackie Robinson Ballpark. This game brought back some fond memories from my past. The Tortugas are the Advanced Class A Affiliate of the Cincinnati Reds. Meanwhile, the Tampa Yankees are the Advanced Class A Affiliate of the New York Yankees. What made this real special for me is I was a beat writer for both organizations from 1982-86. 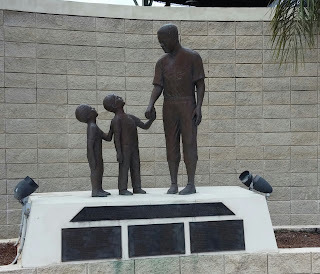 There were a lot of great memories at Fort Lauderdale Stadium and Al Lopez Field. I worked with the Yankees from 1982-84, then with the Reds from 1985-1986. It was a pleasure working with future major league players, coaches, managers and trainers. 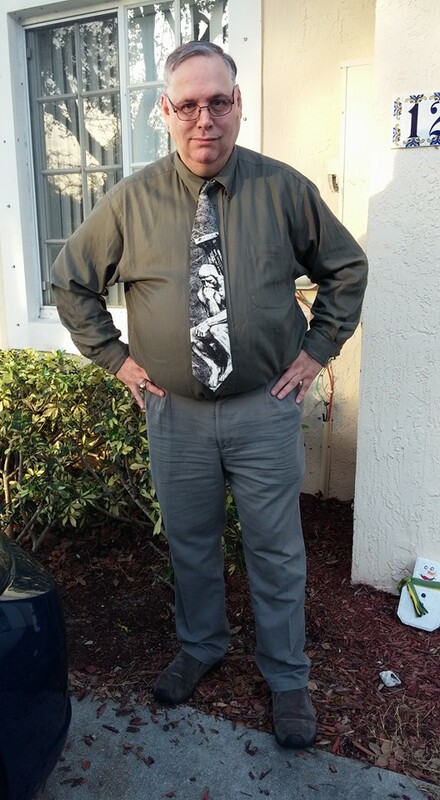 Fort Lauderdale Manager Stump Merrill was fantastic. My best memory of Merrill, though it didn't feel that way at the time, was when my tape recorder stopped working during a 40 minute interview. Thanks to My Photographer Ken Rotberg, who used his tape recorder to track players, I used his recorder, and Merrill was nice enough to do the interview all over again. He said to me, "I'm here to develop young players. I'm glad that I can help a young reporter." He patted me on the back and said, "Hang in there Scott, you're doing fine and I appreciate you promoting the team. I enjoy working with you and please keep it up." I got to know the Fort Lauderdale Yankees really well and the most notable prank they played on me was letting me wear one of their hats, only for it to be filled with shaving cream. I was stunned to say the least. During the season, I had an unforgettable interview with late Yankees Owner George Steinbrenner. He was very cooperative, but if you asked a certain question about his managerial revolving door, he'd abruptly end the interview. Early in the conversation, we talked about some interesting topics, then I saved the managers question for last, which saw the interview come to an end. I don't feel bad about this because weeks later, Ted Koppel of ABC News Nightline, did the same thing and Steinbrenner ended the interview quickly on National TV. All in all, I learned a lot from the Steinbrenner experience. The players that stood out in my tenure with the Yankees included, DH Pete Dalena, Infielder Todd Demeter, Pitcher Tim Birtsas (Pontiac, MI), Catcher Scott Bradley, Pitcher Bob Tewksbury, Infielder Rex Hudler, Pitchers Jose Rijo, Jim Deshaies, Rey Fontenot, Eric Plunk and Infielder Orestes Destrade. Rijo, ironically played for both the New York Yankees and Cincinnati Reds. He won a World Series in 1990 for the Reds and was a key contributor on that squad. During the 1982 season, Hudler went on to rip Steinbrenner in the Fort Lauderdale News/Sun Sentinel about his ways of handling the Yankees farm system while The Boss was in town. Hudler went on to have a solid carer in the major leagues. There were many players in this group that made it to the majors. I'll never forget Pete Dalena, who played for the 1983 team. My Hallandale Digest Editor Dan Bluesten didn't think Dalena could make the majors by being a DH. I asked Merrill about this and he said that Dalena would go as far as his bat would take him. Two days after I wrote the Dalena article, he was promoted to Class AA Nashville, then eventually played for the Cleveland Indians in 1989. There were many instances Bluesten questioned my gut feelings on story ideas and he was proven wrong several times. It didn't hurt that My Mentor Tony DeMarco always taught me to trust my instincts. Whether DeMarco ever gets into the writers wing of the Baseball Hall of Fame remains to be seen, but he's in My Hall of Fame as a Mentor and a Friend. Merrill would eventually manage the Yankees in the Major Leagues and Steinbrenner always found a role for him in the organization. Players such as Brian Butterfield and Chuck Hernandez have been coaches in the major leagues. Hernandez, a former Yankees left-hander had one of the best moves to first base that I've ever seen. Hernandez, who was a pitching coach under former Tigers Manager Jim Leyland, told me during an interview in Lakeland, FL., that he had to have a good move because he had troubles getting hitters out, and had no difficulty joking about it. Merrill went on to win two titles with the Fort Lauderdale Yankees in three years while I was covering the team. One of these titles was against the Tampa Reds. It was an incredible three-year run covering the New York Yankees in Spring Training as well as the FSL Yankees. Two of the nicest people I worked with in the Press Box were Doug and his wife Dee Pett. Doug was the PA Announcer and Official Scorekeeper while Dee assisted him. They are both former Metro Detroiters. When the Miami Marlins came up I-95 to Fort Lauderale, two incredible people that became friends were executives and media personalities, Larry Bluestein and the late Sonny Hirsch. In 1985-86, I covered the Tampa Tarpons for the Tampa Tribune. 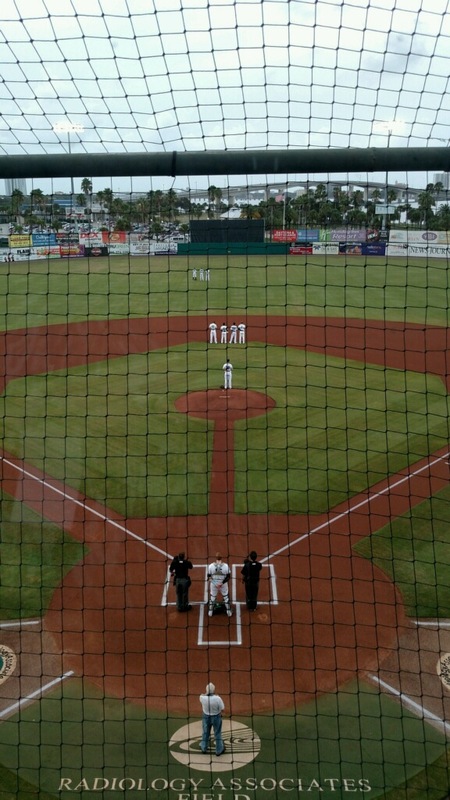 The Manager of the Tarpons was Marc Bombard. He's worked with the Reds when I was in Tampa and has moved to other organizations. During my tenure with the Tarpons, his two teams were real competitive. In 1986, he guided the Tarpons to the FSL Playoffs. I joked with Bombard that we were rivals and now we're teammates. He laughed when I told him you need to win a championship while I'm here. He said, "We'll try Scotty," smiling. We had a good two-year run and the two players who stood out were left-hander Chris Hammond and Catcher Joe Oliver. In my only year with Hammond in 1986, he posted a 3-2 record with a 2.81 ERA. The thing that Hammond will best be remembered for was when I wanted to interview him, he turned me down. He said that he doesn't talk to the media. I told him "OK and I hope you're as good as Phillies legend Steve Carlton. You're Just a Minor Leaguer that is Just a Prospect with no guarantees to make it to the Major Leagues, who could use the publicity to promote yourself." Hammond was a member of the 1990 Cincinnati Reds Championship team, but wasn't on the post-season roster because Manager Lou Piniella lacked confidence in him. His ride to the majors was attributed to the fact that he was a left-handed pitcher. Left-handers are always in demand and Ray Fontenot took the Southpaw route to get to the majors. As for Hammond, he was a mediocre pitcher, who had a 66-62 record with a 4.14 ERA. He was a journeyman pitcher that played for seven teams. One of the nicest players I ever worked with was Tarpons 1985 Catcher Joe Oliver. 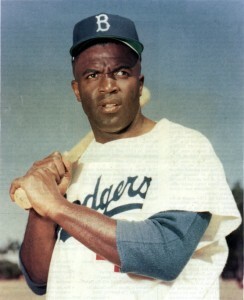 He had a .269 average in 112 games, with seven home runs and 62 RBI. 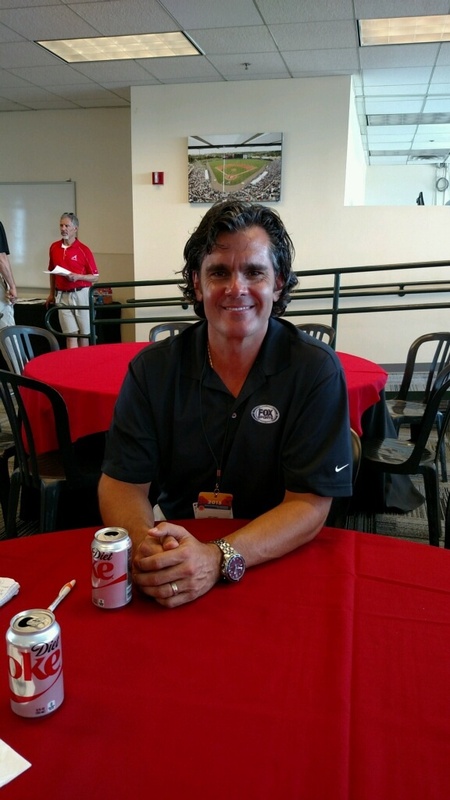 Oliver would play for the Reds from 1989-1994 and was also a member of the 1990 World Series Championship Team. He would play two stints with the Reds. 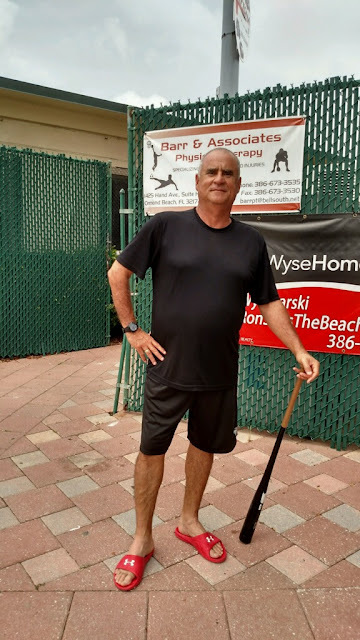 Joe's other baseball stops were with the Milwaukee Brewers, Detroit Tigers, Seattle Mariners, Pittsburgh Pirates, New York Yankees and Boston Red Sox. In case you were wondering, I never fell for any shaving cream pranks with the Tarpons. I got just a little smarter to let it happen again. To this day, Joe and I remain good friends. He lives in Orlando, FL. My employer the Tampa Tribune gave me lots of flexibility with the Tarpons. My Executive Sports Editor Joe DiSalvo was great to work with. Joe allowed me to also free-lance write for RedsVue Magazine in Cincinnati. He allowed me to use their computer system to send stories, plus allow his Editor Rick Nelson to proof read them before I sent them. One of my fondest memories of Nelson is when I covered the FSL All-Star Game in Osceola, FL in 1986. This was a new stadium for the Houston Astros. The Tribune allowed me to use a company computer. I typed my story into it but the phone lines wouldn't allow me to send it after four attempts. Nelson would get me a 25 minute extension, and I dictated two stories to Rick and made it with two minutes to spare. Rick did an excellent job typing the story which was approximately 25-30 inches under extreme pressure. We would joke around about this the following week, but it wasn't fun at the time. The stories look real good when I saw them in the paper. This pressure situation was good for me. RedsVue Editor Mark Schmetzer was also a great guy to work with. In addition to the Tarpons, he utilized me during Spring Training as well as Fantasy Camps. Schmetzer got me credentialed for a three-game series at Riverfront Stadium against the LA Dodgers. Schmetzer and I also remain good friends. Former Tarpons Official Scorekeeper Bill Campbell and his wife Cathy were tremendous folks to work with. So now "We're Back To The Future" in 2015 at a very Historical Ballpark. I saw one familiar face for Daytona Beach. He was a USF Alumnus and also worked for a year as a pitching coach for FAU when I worked with the Owls. His name is Tony Fassas. I will be writing on him at a later date. But Jackie Robinson Ballpark is a must see if you're a baseball junkie. 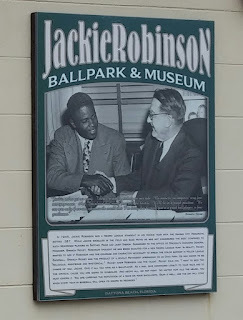 It has a Museum throughout the park with a lot of commemorative photos, plaques and a Statue Outside. This is a real neat place. I was impressed by the way the Daytona Beach Community has embraced this team. The fans were also great to us. 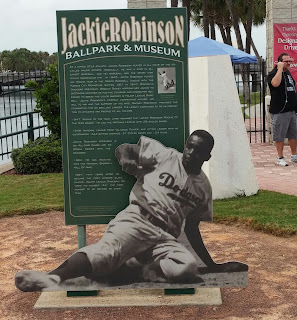 It was just as fun before the game as it was during the contest just taking pictures with Jackie Robinson's historical breakthroughs which changed MLB forever. 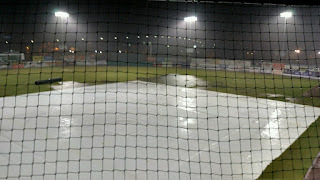 As for the game, it was 0-0 and Rained Out after four innings. But that didn't matter to me. The score meant absolutely nothing! 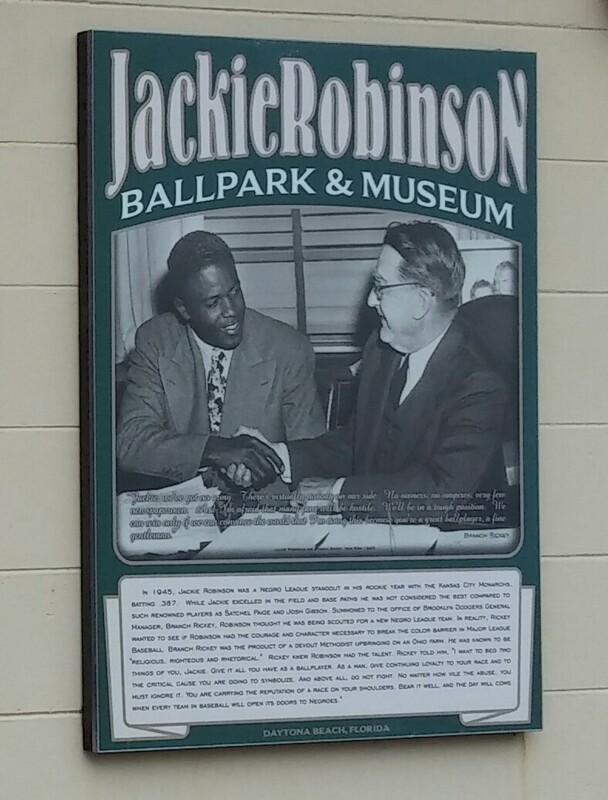 Seeing the history about Jackie Robinson was fantastic. More importantly, the two organizations that were facing each other meant everything. I met so many great people during my five years covering both that I can proudly say I was covering these people at the beginning of their careers. The Hallandale Digest and Tampa Tribune were my employers throughout college. 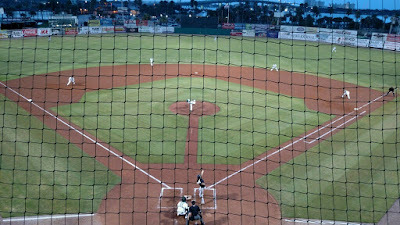 Not only did I enjoy working in baseball, but I was getting paid to do it. This night was a collection of a memorable past that brought me "Back To The Future" even though I'm not Michael J Fox. Every successful coach in any sport deserves to maximize his income potential. Therefore, I understood why former Red Wings Coach Mike Babcock took his intense personality across the border and accepted the challenge to rebuild the Toronto Maple Leafs. It's pretty hard to turn down an eight year contract for $50 Million. The Red Wings offered $20 Million for five years. Can't blame a man for more than doubling his salary with another "Original Six Team." Will money buy Babcock happiness? He's taking over a franchise which hasn't won a Stanley Cup since 1967 when there were only six teams in the NHL. Former NHL Coach and current Hockey Night In Canada Analyst Don Cherry advised Babcock to stay in Detroit. Cherry had been through this before. But Babcock decided to undertake this rebuilding process in his home country Canada. This week Toronto traded away its franchise player Phil Kessel to the Pittsburgh Penguins. I do wish Babcock, 52, well except when he faces Detroit. My dealings with Babcock have been pleasant through the years. I look forward to seeing him when he visits the Florida Panthers in Sunrise. 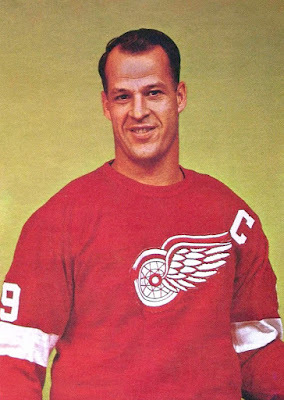 Bobcock's regular season mark with Detroit was 458-223-105 for a .649 winning percentage. He made the playoffs in all 10 seasons with the Red Wings and won a Stanley Cup in 2007-2008. He reached the Stanley Cup Finals the following season. Detroit has made the playoffs 24-consecutive seasons. 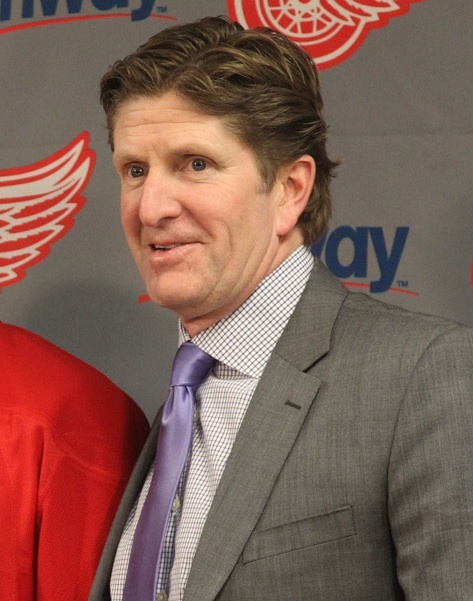 I know this was a gut wrenching decision for Babcock to leave Detroit, but to his credit, it was classy that he had a Farewell Press Conference with the Detroit Media and left a Class Act. The day before his Final Press Conference with the Detroit Media, Babcock called Toronto, "Canada's Team." Toronto is the wealthiest franchise in Canada. I hope for Babcock's sake that the organization, run by former Red Wing Brendan Shanahan, gives him enough time and provides him the players to be successful. Otherwise, it will be a long eight years for a guy that hates losing. The best example of this is former New York Yankees Manager Casey Stengel. In 12 years with the Yankees, Stengel was 1149-696 and won seven World Series titles for the Bronx Bombers. In 1962, Stengel became the pilot of the Expansion New York Mets. 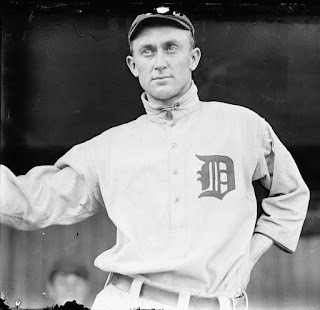 In 3.5 seasons, Stengel 175-404 after the losing wore him out. We'll see how much this wears on Babcock and see his his red hair turns grey. The guy is only four months younger than myself, having been born on April 29, 1963, and is eligible for AARP. Red Wings GM Ken Holland is not only the smartest person an organization can have, but the most loyal. He's already made a couple solid moves in free agency. When Babcock departed, Holland knew his successor was a two hour drive on I-96 in Grand Rapids. Ken obviously felt Jeff Blashill could transition well to Detroit, otherwise he wouldn't have torn up his old contract then doubled so Blashill wouldn't talk to other teams. In six seasons as a head coach, Blashill has never had a losing record. He won a Calder Cup with the Grand Rapids Griffins 2012-2013. In his six-year coaching career, Blashill is 225-127-10-28. He's shown loyalty to Holland and deserves this opportunity. Plus, he's worked and developed many of the current Red Wings. Needless to say it should be a seamless transition. It was interesting that as I watched Holland's press conference of Blashill's hiring that Ken indicated this was the worst kept secret. We'll see if this leads Detroit to the post-season for a 25th straight year. Before the Blashill hiring, I posted a comment on Facebook that Detroit should consider hiring Dan Bylsma, a Grand Haven, MI native. Bylsma's Pittsburgh Penguins defeated Mike Babcock's Red Wings to win the 2008-2009 Stanley Cup. But the Buffalo Sabres, who made an aggressive attempt to hire Babcock, snapped up Bylsma, thus there were no other candidates that made sense to me. There seems to be a New Trend in hiring a head coach in the NHL that I've noticed. Instead of hiring recycled-experienced coaches, teams are starting to give younger coaches an opportunity. The Tampa Bay Lightning hit a home run with Jon Cooper. The 47-year old Prince George, BC, CA native has compiled a 101-59-20 mark in three seasons. Cooper defeated three "Original Six Teams" to reach the Stanley Cup Finals, only to fall to the Chicago Blackhawks. Prior to coming to the Lightning, Cooper won championships with the St. Louis Bandits, Green Bay Gamblers and won a 2011-2012 Calder Cup for Tampa's AHL affiliate, the Norfolk Admirals. 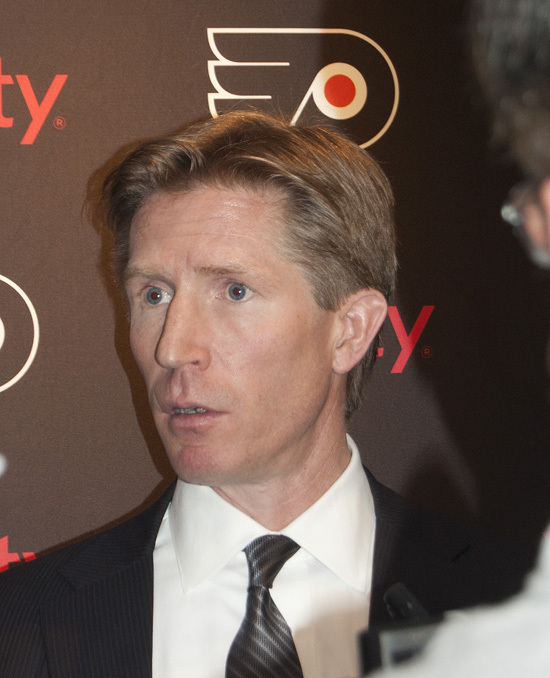 The Philadelphia Flyers went to college and found their new coach, Dave Hakstol, 46, from the University of North Dakota. In 11 seasons with North Dakota, Hakstol was 289-141-43 and his team reached the Frozen Four seven times. Hakstol is photographed. 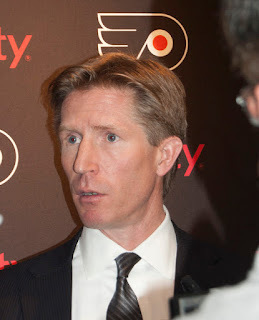 Hakstol is the first head coach to go directly from the NCAA to the NHL since 1982 (Bob Johnson from the University of Wisconsin to the Calgary Flames). On June 2, 2015, the New Jersey Devils hired John Hynes, 40, to be their next head coach. Hynes is the youngest coach in the NHL. Prior to joining the Devils, Hynes coached for the Pittsburgh Penguins AHL affiliate the Wilkes-Barre/Scranton Penguins for the past five seasons, making the playoffs each year. He reached the conference finals twice. Hynes was the AHL's Coach Of The Year in 2010-2011. I'll be curious to see how all of these coaches due in the 2015-2016 Season. 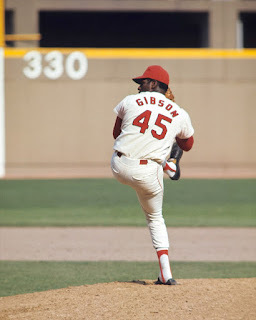 When MLB decided to come up with the Franchise Four at this year's All-Star Game in Cincinnati, there was absolutely no way that I would pass up on this chance to come up with mine. There are lots of great players that wouldn't make it because their teams in the 1900's are no longer in existence. The one guy that comes to mind is Cy Young. There are many players that won't make it due to the Steroid Era. On My List, don't expect to see Barry Bonds on it because he was a cheater and his arrogant attitude towards the media will not help his chances to reach the Baseball Hall of Fame in Cooperstown, NY. Did you know that Hall of Famer Joe Morgan was a good player for the Houston Astros before joining the Cincinnati Reds Big Red Machine? One day, I see Center Fielder Mike Trout of the Los Angeles Angels making this list. 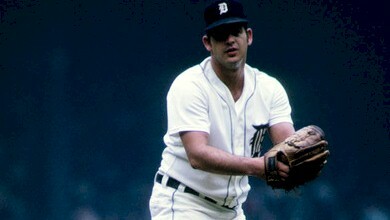 If I had a fifth selection for the Detroit Tigers, southpaw hurler Mickey Lolich would be on it. Lolich won three games in the 1968 World Series as the Tigers topped the St. Louis Cardinals to win a World Championship. He was a three-time All-Star. 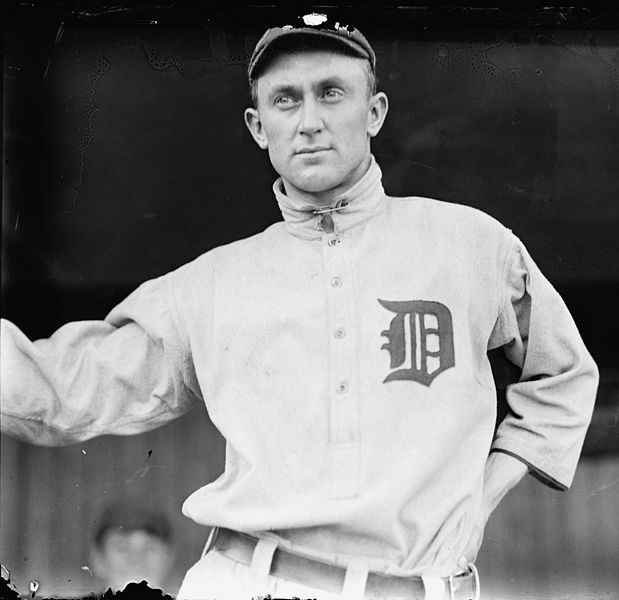 His career record for Detroit was 207-175, nine saves, pitched in 3,361.2 innings, 190 complete games and 2,679 strike outs. Lolich's 190 complete games is unrealistic in the New Specialization Era, predicated on pitch counts and innings pitched-monitored. On Father's Day, June 16, 1974, Lolich worked 11 innings and threw 170 pitches, and got a walk-off win at Tiger Stadium. I'd like to see that happen these days. A manager could get fired today allowing a pitcher, especially his ace working this long. Lolich would finish his career with 217 wins and 2,832 strikeouts also playing for the New York Mets and San Diego Padres in the National League. What's even more impressive is Lolich's strike out total of 2,679, the most by an American League left-hander. 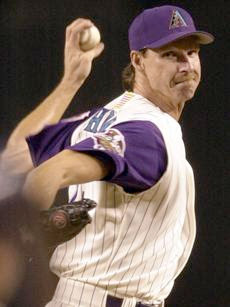 Hall of Fame hurler Randy Johnson struck out 2,545 while pitching for American League teams, a number that includes strikeouts in inter-league play. My photographer Candice Ebling asked me about how many pitchers would end up on the list? In some cases none. Did you know that former Yankees shortstop Derek Jeter is the only player in team history to amass over 3,000 hits? I found it tough to choose between Mickey Mantle and Joe DiMaggio. I went with DiMaggio because he won nine World Series Titles and owns an unbreakable 56-game hitting streak. Where does Roger Clemens belong? It's tough to find a spot with the Yankees and Red Sox. 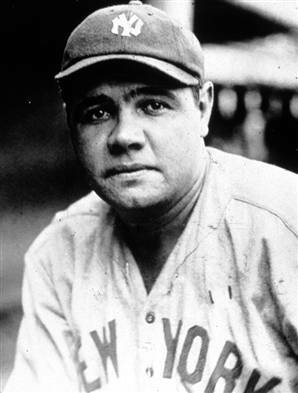 He had some success with the Houston Astros and Toronto Blue Jays, but not enough longevity. Former St. Louis Cardinals first baseman Albert Pujols is a victim of the team's illustrious tradition. The Small Market Florida Teams, The Tampa Bay Rays and Miami Marlins are tough to come up with four due to the high roster turnover and small payrolls. It's tough for these teams to keep their big name star players longer than seven years. Now that Giancarlo Stanton has signed a long term contract, if he stays healthy, then I could see him on a future Marlins list. With My List, a real deciding factor is whether a player wins a championship(s). If the player does it with multiple teams, that's even better. An interesting note is the Milwaukee Brewers and Houston Astros have swapped leagues. Ironically, the Astros players on this list played in the National League while the Brewers played in the American League. Now that I've given you readers a basic criteria, I welcome your feedback. Here is My Franchise Four. Here are some after thoughts about My MLB Mt. Rushmore. 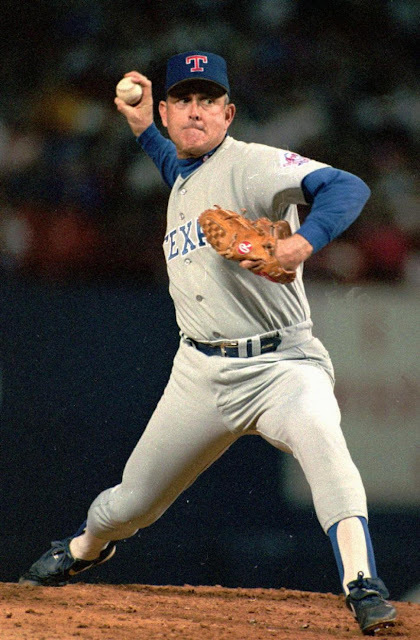 Did you know that Nolan Ryan's number was retired by the California Angels, Houston Astros and Texas Rangers. Ryan wore No. 30 with California, and No. 34 with the Astros and Rangers. 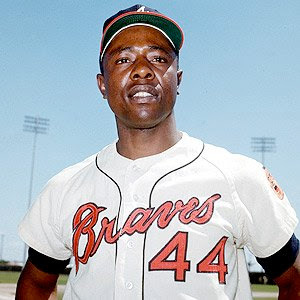 He won his only World Series Title with the 1969 New York Mets. Eddie Murray would have made this list with the Baltimore Orioles, but you can't leave off Cal Ripken Jr.
A unique player to talk about is Fingers. 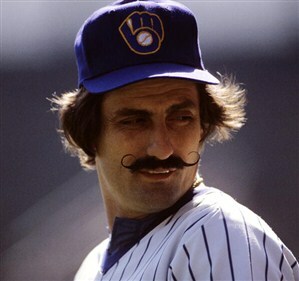 He won three World Series Championships with the Oakland A's and led the Brewers to the 1982 World Series. His No. 34 is retired by both franchises. Fingers is known for his trademark mustache. Why did Sammy Sosa make this list? Sosa led the Chicago Cubs to the playoffs in 1998. It was the first time the Cubs reached the playoffs since 1989. In 1998, Sosa and Mark McGwire, had their famous home run chase of Roger Maris 61, which helped Baseball resurrect itself after the demoralizing Player Strike in 1994. 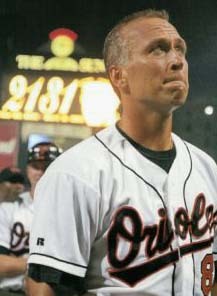 What also rescued baseball was Cal Ripken Jr. broke Lou Gehrig's consecutive game streak in 1995 as he passed 2,130 finishing with 2,632. Once again, I welcome your opinion and will respond back to you.